Catalonia’s government has called off plans to push ahead with a contested independence referendum, Spanish media says. A spokesman for Catalan President Artur Mas said he would be holding a news conference at 08:00 GMT on October 14. Spain’s government said the November 9 vote was unconstitutional but Catalan’s leaders had vowed to hold it. 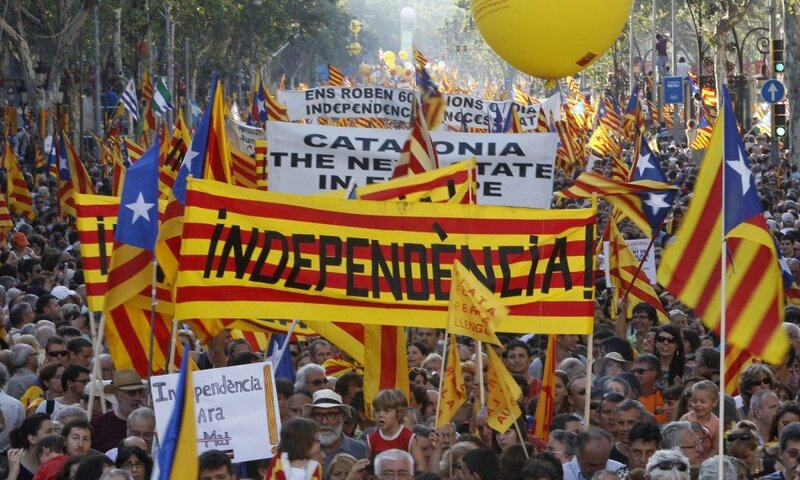 Support for independence has increased among the 7.5 million Catalans following Spain’s economic crisis. On September 19, the regional parliament voted by 106 to 28 in favor of granting Catalan’s president the power to hold a referendum. Spain’s central government protested against the move and the Constitutional Court agreed to hear their case against the referendum – a process that could take years. The pro-independence Catalan government had previously said it was examining legal arguments to persuade the court to lift its suspension of the vote while the case is heard. However, Joan Herrera, of the Initiative for Catalonia party, told reporters that the regional government had “determined that the consultation can’t take place” after meeting with pro-referendum parties on Monday. Spanish media said that President Artur Mas was now looking for other mechanisms to consult the public. Hundreds of thousands of Catalans have protested on the streets in recent weeks, demanding their own vote. Polls suggest most Catalans favor holding the vote, but are roughly evenly split on independence. With about 16% of the Spanish population and a distinct language and culture, Catalonia is one of Spain’s richest and most independent-minded regions. Queen Elizabeth shows early stages of Alzheimer's disease?